Today’s feature is for the ultimate traveler. Sometimes, people just want to pack a little bag and travel the world to explore different ways of living. 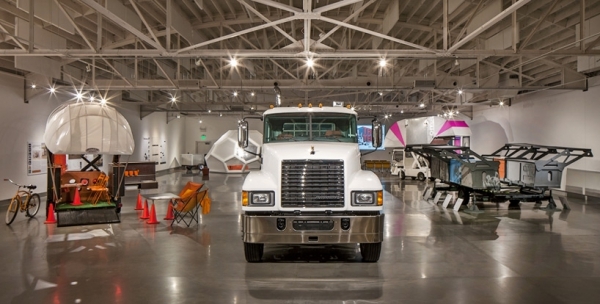 For the fellow nomads out there, Kaneko, an innovative design company, has put together an exhibit called “Truck-a-tectures”. 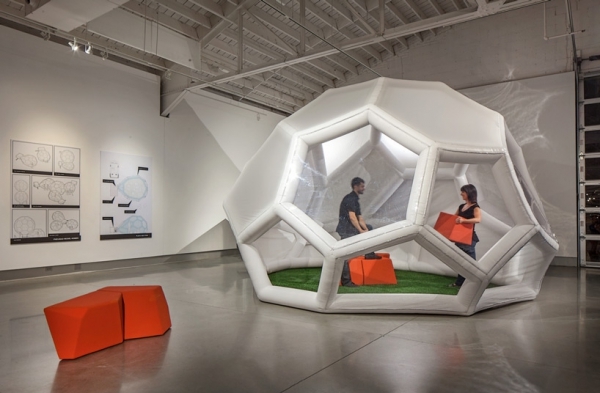 This exhibit features transformable structures that are perfect for globetrotters! 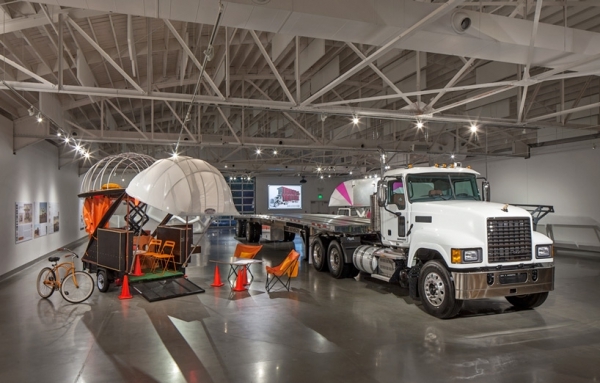 With this display located in Omaha, Nebraska in the United States, Kaneko was able to team up with other amazing design companies such as Mark Mack Architects, min │ day, Office of Mobile Design and Jones Partners Architectures to help make this exhibit as groundbreaking as it is. 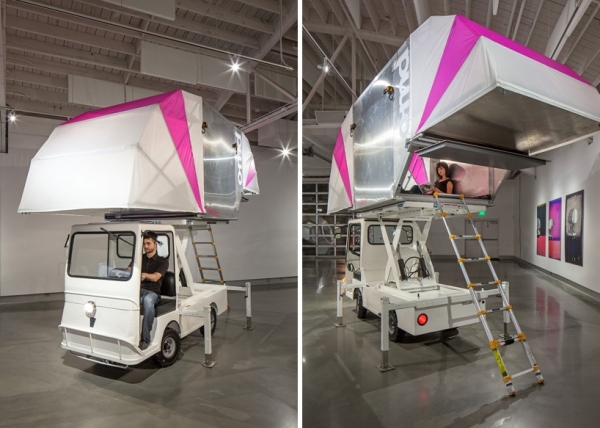 These transformable structures, known as “the pneumad”, are designed to allow functional freedom that transcends bounds that you will sometimes encounter while living the nomad life. No need to buy extra contraptions in order to carry it along with you! 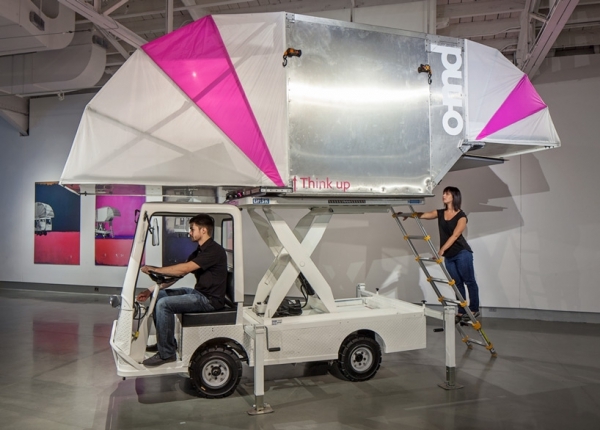 The pneumad is also able to effortlessly travel with you thanks to the small trailer it comes in. 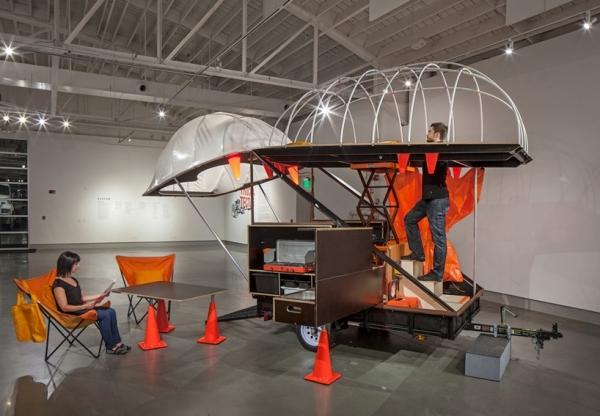 Another cool feature to accompany the pneumad is called the “aero-mobile”. 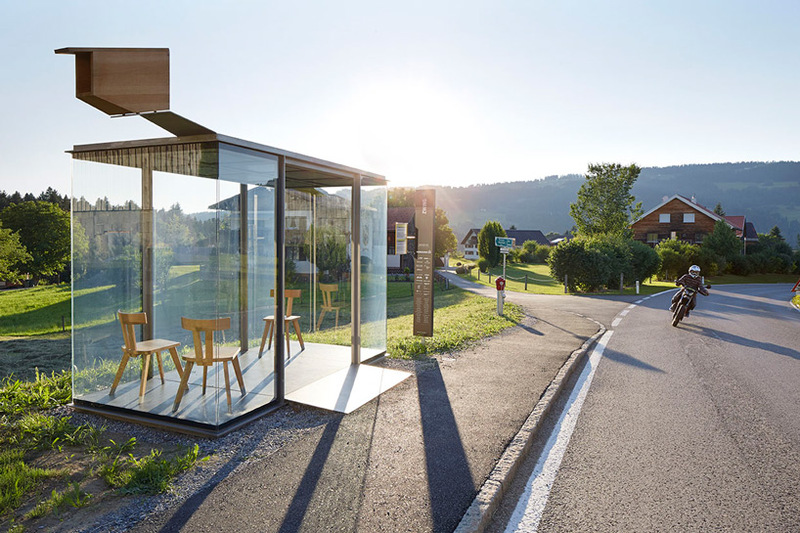 This is essentially another portable room that allows for free-spirited living elevated to protect from any natural elements that may not be too friendly. 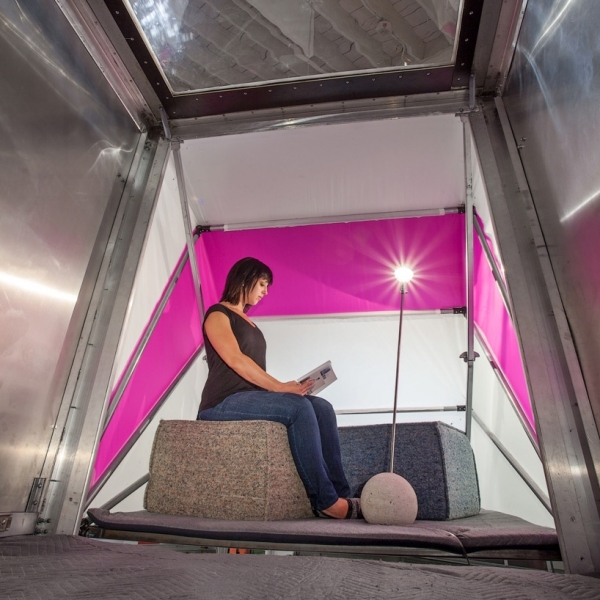 Lastly, the S/LMP, or “self-lifting mobility project”, really boosts quality of life with a private mini-bedroom and lounge area below. 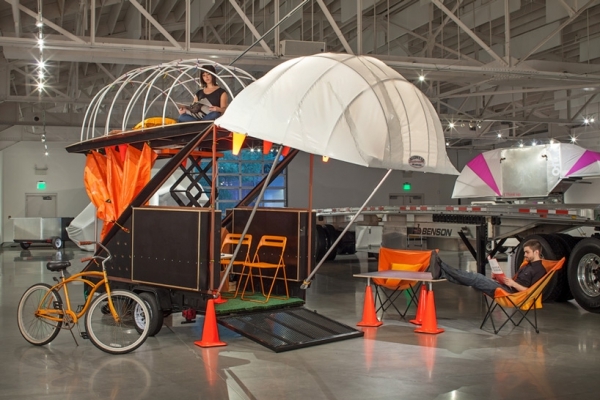 You will probably want to toss your traditional tent out of the window after learning about these transformable structures. If you need more proof and want to see it in person for yourself, the exhibit will be open until August 23rd 2014!